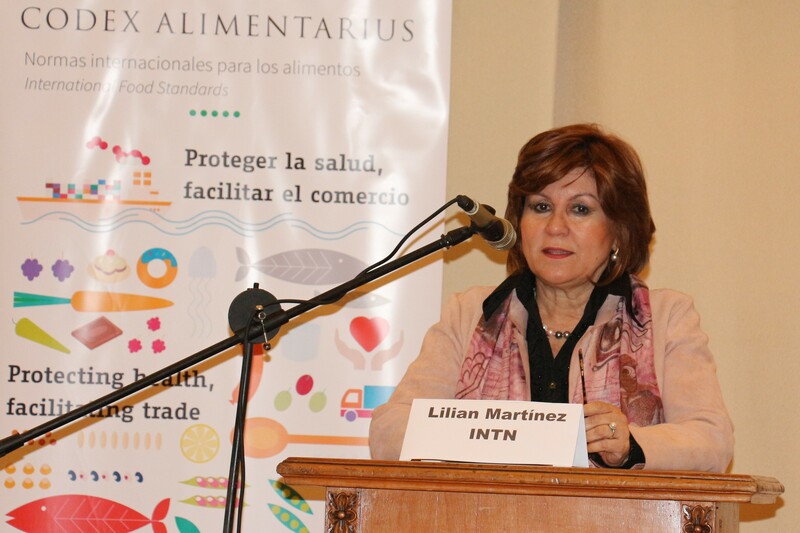 On Thursday and Friday 24-25 May, 40 participants from 26 of the 33 countries in the Latin America and the Caribbean (CCLAC) region gathered in Asunción, Paraguay for training on the online web tools that form a central part of food safety standards development in Codex. Following successful workshops in Nairobi and Dakar, this third leg in the series of regional programmes in Paraguay was a valuable opportunity for those working in national standard setting structures and for Codex Contact Points to build their skills first hand under the guidance of trainers and experts from the Codex Secretariat. Welcoming participants, Lilian Martinez, Director of the National Institute of Technology, Standardization and Metrology (INTN) emphasised the importance of new technologies to facilitate participation in Codex for countries in the region and that enhanced participation at national and regional level will ensure that Codex standards are inclusive and representative. Speaking on behalf of WHO, Simone Raszl also welcomed participants to the region and looked forward to participants sharing their experiences as well as working hard with the tools that enable participation in Codex. Eric Bolaños, who participated in the workshop on behalf of the Inter-American Institute for Cooperation on Agriculture (IICA) said opportunities such as this workshop gave countries in the region the chance to become active players in the negotiation of international standards, mindful of the trust that producers and consumers place in national institutions. Gracia Brisco, Food Standards Officer in the Codex Secretariat, thanked the INTN for their support in organising the workshop and spoke of the importance given in the Codex Strategic Plan and by the parent organizations FAO and WHO, as well as the Codex Secretariat, to enhancing effective participation in Codex through initiatives such as this skills workshop especially for developing countries. Attending the workshop on behalf of Argentina, Martìn Colicigno spoke of the importance of being able to use the online platforms in Codex as so much of the work on standard setting is now built around online workgroups and commenting systems. Farz Khan from Trinidad and Tobago said the workshop had given participants insight, know-how and competency to feel more comfortable in using the systems which would greatly benefit the work of their national Codex Contact Point. Participants also had the opportunity to hear from Chile, Nicaragua and Trinidad and Tobago on their experiences in managing Codex nationally. The session emphasised the importance for all countries to share their experiences and learn from each other at events such as this workshop. Each local Codex system although different in structure and approach, can work towards a common goal of safer food for all and the elimination of barriers to trade. Further workshops are planned for the autumn in the other Codex regions and it is expected that by the end of the year over 150 countries will have benefitted from the training.